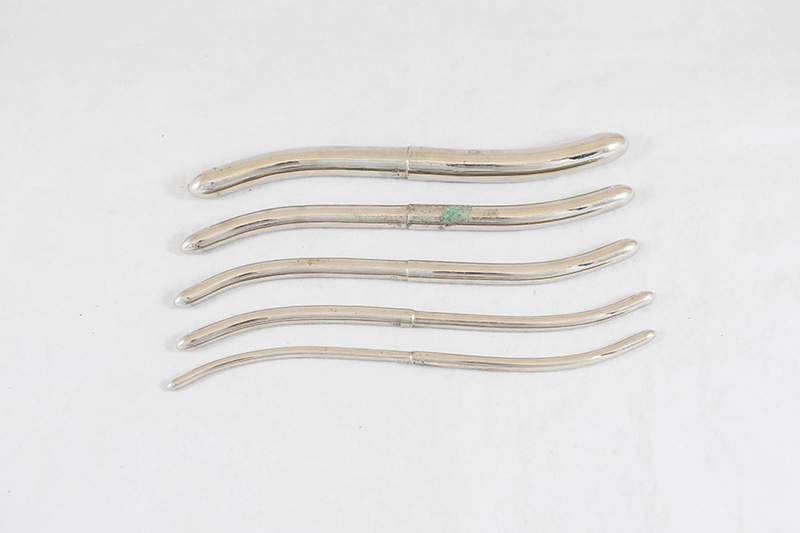 Set of 5 curved uterine dilators in a rolled canvas case, belonging to H.R. Lillie. i) 1.5 cm diameter, 21 cm in length. ii) 1 cm diameter, 21 cm in length. 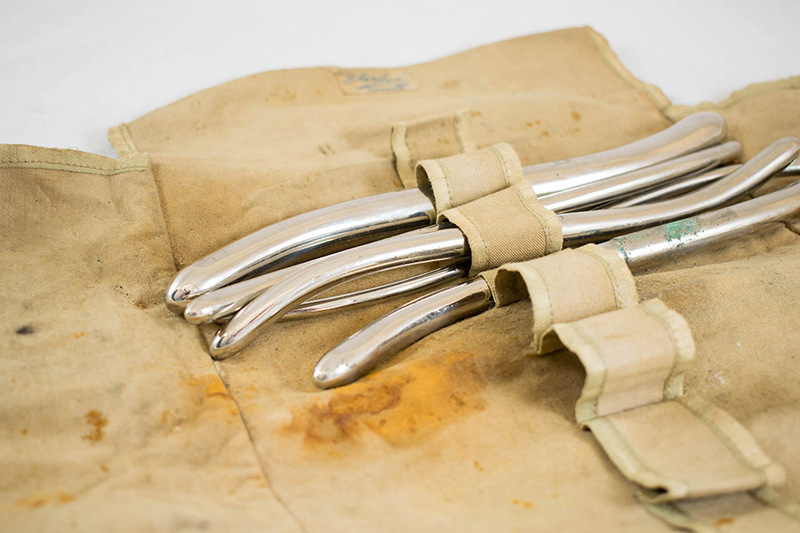 iii) 0.75 cm diameter, 21 cm in length. iv) 0.5 cm diameter, 21 cm in length. v) 0.3 cm diameter, 21 cm in length. 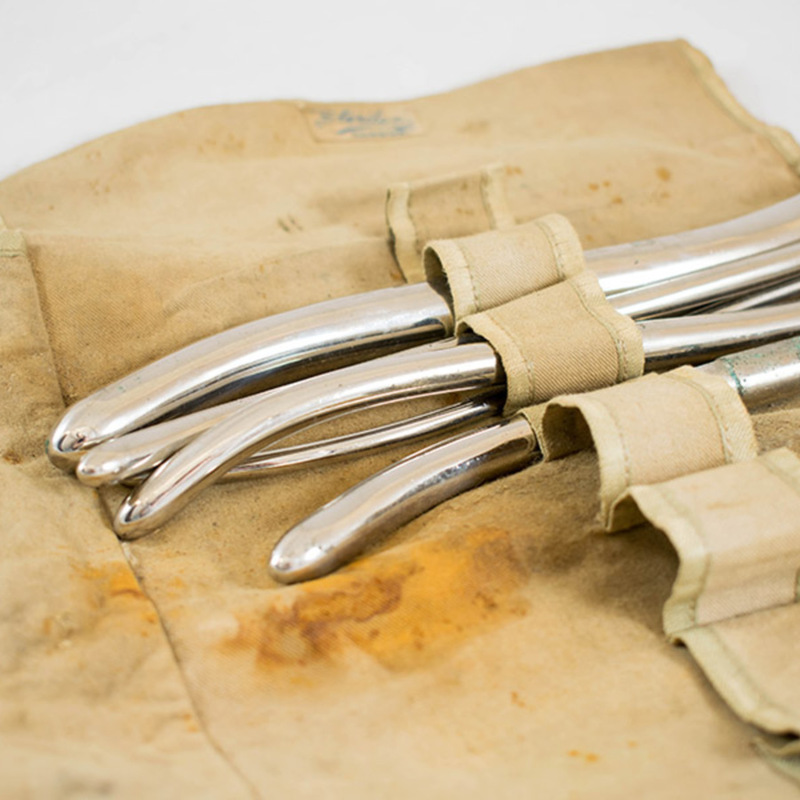 “Set of Uterine Dilators,” Heritage, accessed April 20, 2019, https://heritage.rcpsg.ac.uk/items/show/409. 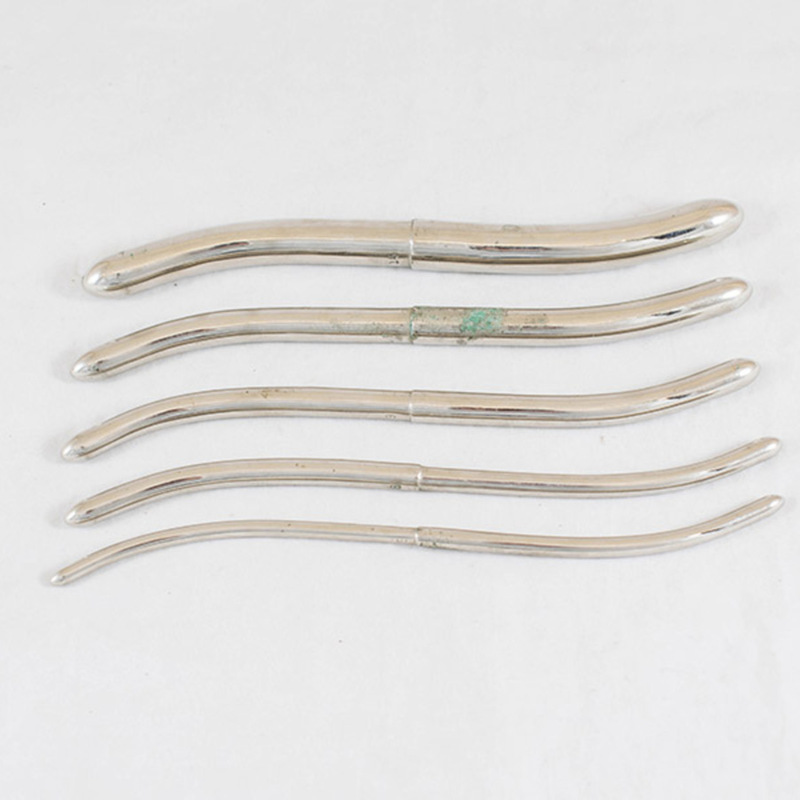 Description: Set of 5 curved uterine dilators in a rolled canvas case, belonging to H.R. Lillie.